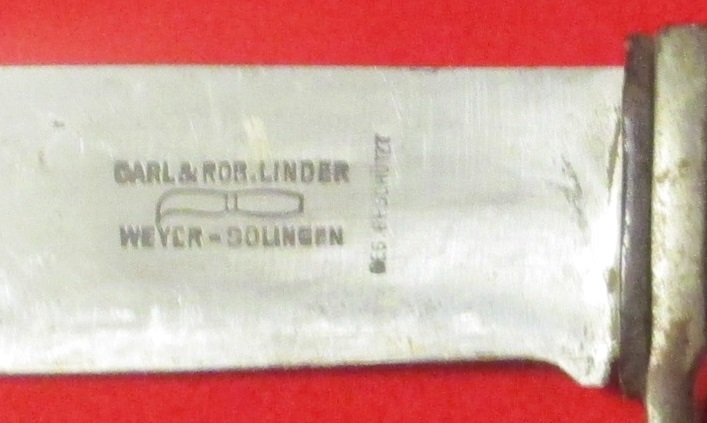 Early example with scarcer maker and motto in blade. Nice and solid without damage and a strong strap. Has graying to blade, lifting to fittings. Tough to find much nicer, these were carried by kids!